Every activity has its own “jargon” — words, phrases and definitions particular to that activity. 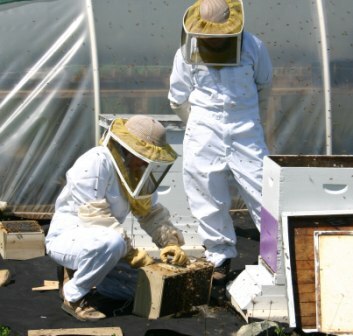 Beekeeping is the same – there are many words, phrases and definitions particular to beekeeping. The Bush Bees website has a great page of Glossary of Beekeeping Term’s, we recommend you use this as a resource when you run up against a term you’re unfamiliar with. When you sign up to attend Bee School or get started in beekeeping, we strongly recommend that you find a good book or two (or more!) to learn as much as you can. Check out our Books page under Resources/Recommended Reading for some recommendations, or ask someone in the Club, or find a new one you like. There’s always more to learn no matter how long you’ve bee beekeeping, so keep reading! And of course, there’s tons of information on the internet! You can check out our Likeable Links page, also under Resources/Recommended Reading to get started.